Megan Haupt is leading a seminar on Healthy Food Relationships this coming Saturday, January 27th at the Tulpehocken Exchange from 2-3:30 pm. I first met Megan years ago, through our mutual involvement with a variety of community and arts events. The one that stands out in my mind is Swap O Rama Rama, which, as I understand it, Megan facilitated. This was a huge event with easily a thousand people in attendance. It was a clothes swap with workshops, dedicated to reducing textile waste by keeping clothes out of the landfills and waste stream. This was an expertly run event. Handmade Philly was one of the many organizations present, hosting workshops. 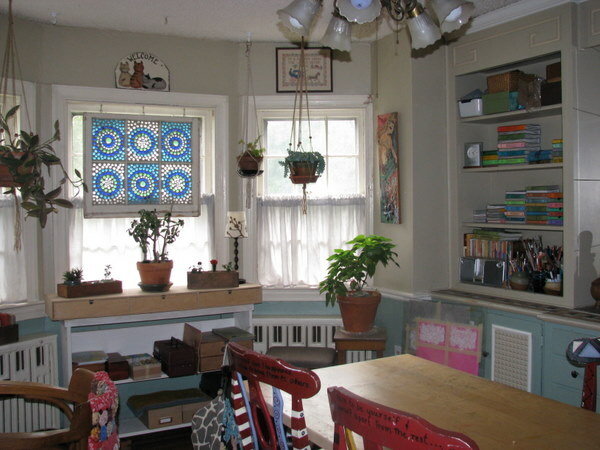 Years later, I attended a class hosted by the Permaculture Society, at Wyck House in Germantown. Megan was the instructor, leading an engaging dialogue on miso, complete with history, nutrition, preparation and cooking demos. Again, the information I gathered that day resonated, and I incorporated miso into my life at a much deeper level than before the class. When we opened the doors to Tulpehocken Exchange, I reached out to Megan and of course, asked her to get involved. These days her focus has been on food education, which leads us to Saturday, when Megan will be leading a seminar on Healthy Food Relationships. We do hope you’ll join us! Below is an interview I recently conducted with Megan. Bio: Megan has been a food educator for over 12 years, teaching adults and children in community-based settings. She believes that food education must meet people where they are in order to be effective, and that educating the entire family is essential to help kids become food-smart. Her areas of interest include: food history, food science, and food culture. In addition to her education experience, Megan has launched several small businesses and has professional backgrounds in higher education, business (non- and for-profit), and the performing arts. Megan is an active member of PA Nutrition Education Network. Upcoming projects: More picky eating research, designing a summer camp for Reading Terminal Market. Describe your work. Forward facing with TONS of research. What themes and concepts does your work generally revolve around? I am fascinated with food history, food science, food culture, and food futurism and how all of them are currently intersecting. What are you currently working on? How to get people to pull back the curtains when it comes to diet and food. Most people are afraid to look and I am trying to find ways to make it less scary. What’s been happening in your life? A LOT of shifting. Delving into these topics of food relationship and personal accountability has been uncomfortable for me as well. What’s next for you? How do we get people to engage around the topic of food relationships. How do we demystify and how do we bring it to a digital environment. Describe your current state of mind. Constantly running. What’s inspiring you? Really exciting changes in storytelling as a whole. Old narratives need to GO! Is any of your work political? Oh yes, but mostly on an individual level. Food is deeply personal, larger changes can only occur when there is widespread individual change. What are you trying to communicate with your art? Food is WAY more than just nutrients. Food parallels life. If you are not engaged with your food, you are not engaged with your life. What is one of the biggest challenges you face? Time and how to balance work and life. Has the meaning of your work changed over time? Most definitely. I am almost full circle with my understanding of food and life. I see that I will most likely be closer once I go through menopause. What is your dream project? So many. Maybe a food ed conference for educators around the topic of food relationships. Do you collaborate with other people? All the time. A good collaboration is exhilarating. A bad one is crushing. What are a few of your favorite spots in your area? Wissahickon, Norristown Farm Park, Erdenheim Farm, The Farm Cooking School, Good Spoon Soupery, Hungry Pigeon, Kensington Quarters. People in your field whom you most admire: Edna Lewis (the Grandmother of farm-to-table), Heather Thomasan (founder of Eat Retreat, Primal Supply Meats, lady butcher), Marion Woodman. What are you reading? “The Edible Woman” by Margaret Atwood. Favorite comic strips/ comic books/ graphic novels? Krazy Kat, anything by Chris Ware. What was the last show you attended? Sleep at Union Transfer; it’s been a while. What was the last exhibit you attended? PHL Assembled at PMA Perelman bldg. Join us for Megan’s seminar on Healthy Food Relationships this coming Saturday, January 27th at the Tulpehocken Exchange from 2-3:30 pm. 47 East High Street, Right Entrance. $15/ per person, sliding scale (pay what you can). Suggested for Ages 15+. Bio: I am the artist and crafter behind HUGs, Heidi’s Unique Gifts. I don’t limit myself to just one medium, but like to explore any that may strike my fancy. I started in photography during college where I took a basic photography class. After a few years I decided to expand my photography knowledge and went to Antonelli Institute. Since Antonelli I have continued to learn new mediums and taken numerous classes to further my knowledge in arts and crafts. Sewing has become my passion and recently I have been creating unique handbags. My passion is fueled by the happiness and satisfaction I experience when I create something from nothing. When I am not creating I enjoy spending time with my husband, furry friends, and a good book. What are you currently working on? Currently I am working on t-shirt blankets. I am making one for myself and one for a friend. I’m also collecting Doberman t-shirts to make one to donate to the Delaware Valley Doberman Pinscher Assistance. What’s your background / how did you first get involved with art/ making/ sewing? Growing up, my mother was always making our clothes; she even made her wedding dress and her bridesmaids dresses. So I was always around a sewing machine but it still made me nervous; I could never get the bobbin right. So when I finally bought my own sewing machine it sat in a box for months until one day about 5 years ago I finally decided to conquer my fear. I practiced on some one else’s patterns and learned some things and then I just started my own designs. As for my photography, I took a class in college and then after a few years I decided to go to school for it! 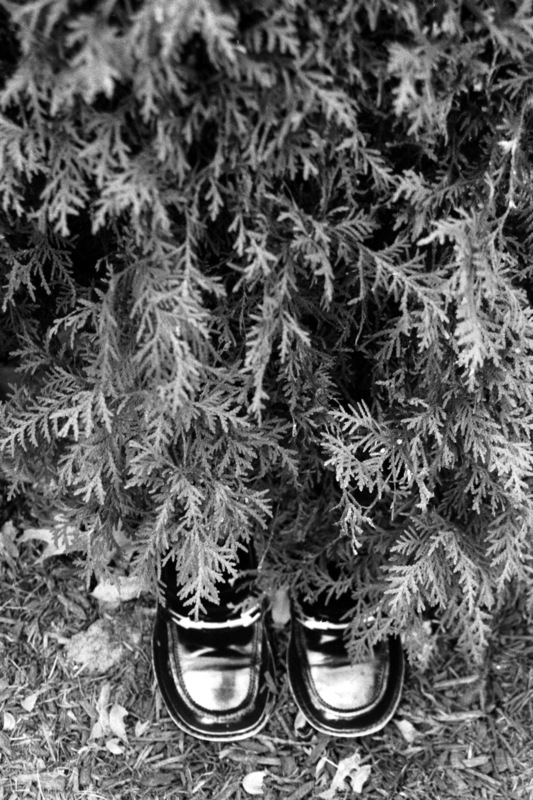 I love taking photos, especially store windows and shoes. Currently I use my camera phone a lot since it is always with me and I have some lenses that I play with. As for all the other crafts I work with, it’s basically, if I see something or think of something, I try to make it. What’s been happening in your life/ what’s next for you? At the beginning of 2012 I was diagnosed with breast cancer. I do not have a history of it and I am under the age of 40 so it was a very big surprise. This past year has been a lot of ups and downs but my craft room was my sanctuary and my sewing machine was my best friend. I do not usually like opening up to people so being able to channel my issues into design and creation has been a wonderful thing. I finally launched my Etsy shop, which was a major step in the middle of all my surgeries. 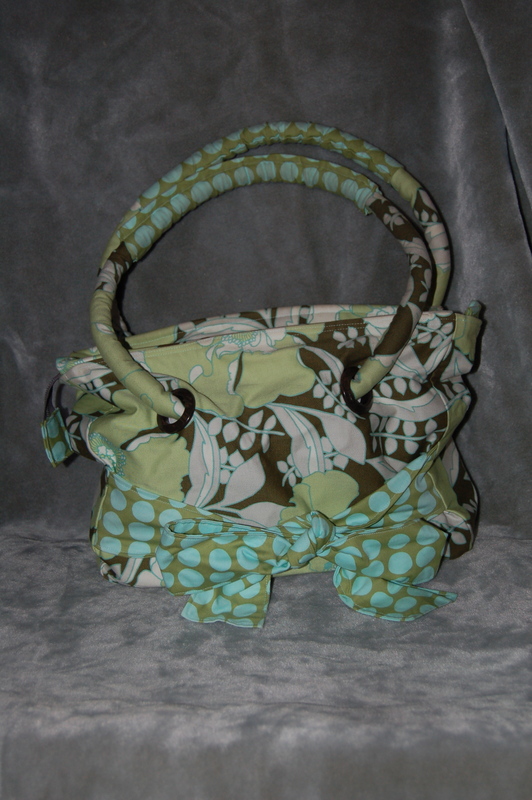 I was able to create enough of an inventory, I was even able to attend two craft fairs at the end of the year. 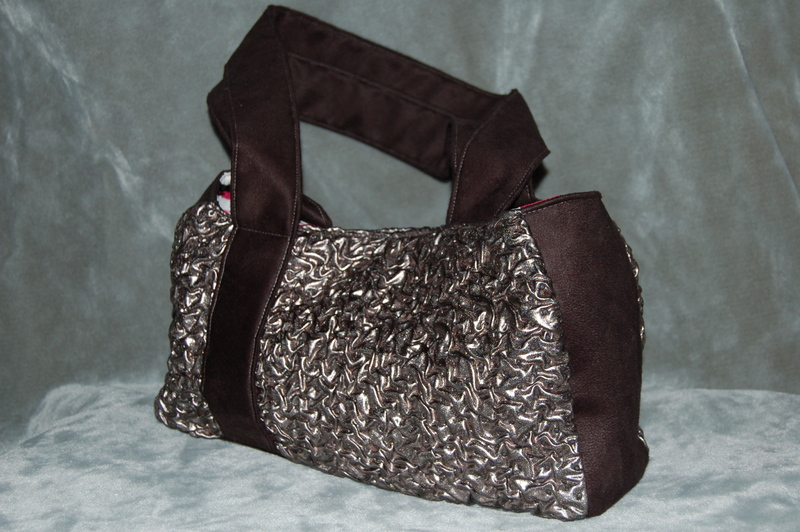 This year I plan to concentrate on designing new bags and get involved with more craft fairs. Describe your current state of mind / what’s inspiring you? Life in general inspires me. It has been a hard year and now it is time to move on and if I push myself a little bit more, I will be able to create some fantastic new creations. Biggest challenge when it comes to making/ sewing. My biggest challenge has been learning enough to do what I do. I have self taught myself everything I know about designing bags and each little new idea I learn helps to make the next bag to be better. Are you involved with any organizations/ is there a group you feel affinity with/ do you collaborate with other artists/ makers? I donate 5% of my sales of any item with hearts on or in them to Young Survival Coalition, a charity for younger women who get breast cancer. I also am currently collecting Doberman T-shits for a blanket I am going to make and then donate to help the Delaware Valley Doberman Pinscher Assistance. My husband and I have helped them with transporting dogs and also fostering 3 dogs so far. 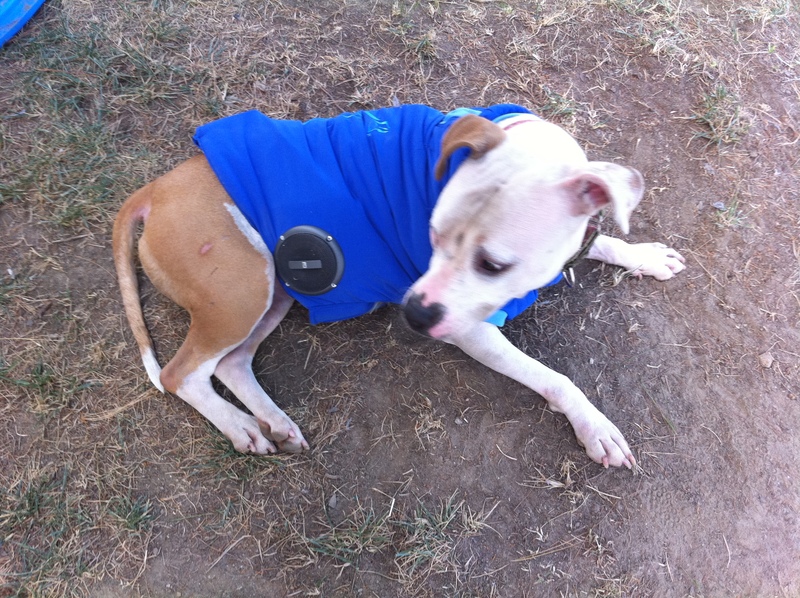 We are looking forward to fostering more now that my health issues have been resolved. What were you like as a kid? As a kid I was quite shy and really kept to myself. I was always trying creative things but had never really found anything I liked. I really enjoyed reading and I always thought I would be an author. I still have fantasies of creating a photography/essay book. What are you listening to these days? My favorite band is Blue October and favorite artist is Lana del Ray. Other than that is could be anything from broadway to electronica. Favorite artists/makers and why? Fashion designer Christian Lacroix because I love fashion and I love crazy colors! He was one of the premier designers when I was in high school and he designed a wedding dress with a bodice of black velvet. That dress was probably the first one I ever saw and it has always stayed with me. What was the first piece of artwork you bought/ do you buy a lot of artwork? The first piece of artwork I ever bought is a print of a scene from Snow White, my favorite fairy tale. I do buy art, my favorite is to go to art or craft shows and find pieces that speak to me. It’s much more personal and you usually get to meet the artist. What’s your idea of happiness? Happiness is being able to enjoy life, my animals and my family. Everyday without a health issue is a happy day! What is your ideal job? My ideal job would be a successful designer. What are you reading? Currently I’m reading a lot of historical fiction. Favorite authors, fiction: Anne Rice, Charlaine Harris, Margaret George, Joe Meno and many others. 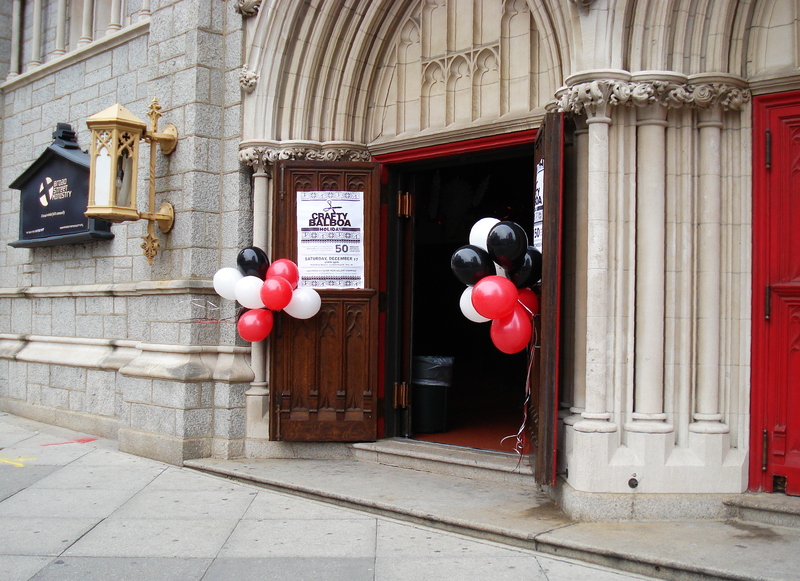 Crafty Balboa hosts a craft show in December at Broad Street Ministries, 315 Broad Street, in Center City. 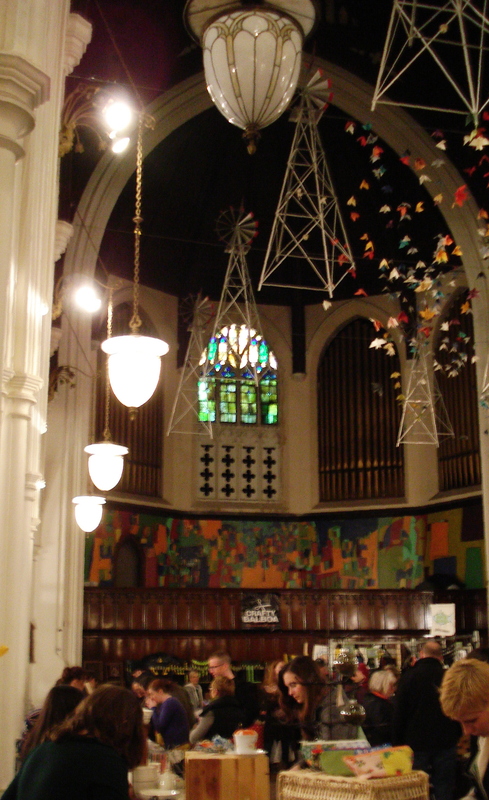 This building is a very attractive church that used to be home to the Chambers-Wylie Presbyterian Church. This past December was a cool and crisp early winter day, and the interior was packed with crafters and shoppers. The vaulted ceiling of the chapel was lovely and was hung with handmade decorations. There were approximately 40 booths and shoppers were shoulder to shoulder. Every type of craft was available — candles, scarves, ornaments, toys, cards, jewelry, t-shirts, placemats, upcycled, vintage, etc. The main quality that all had in common was that these are not things you could find in a typical department store. 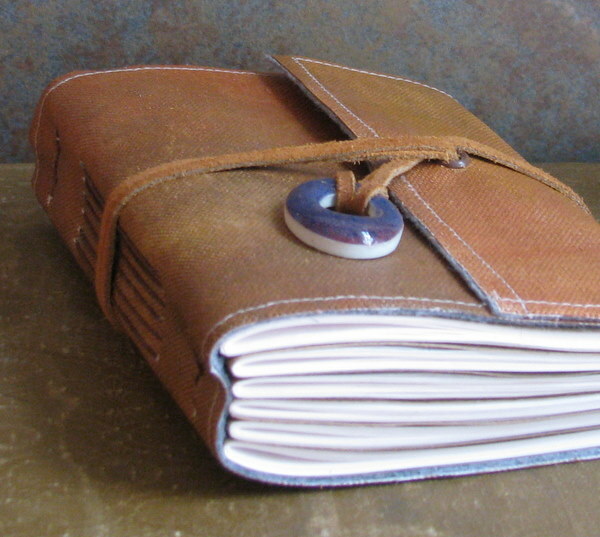 This is a great forum for buying that special, one-of-a-kind gift. Items were selling at the low to mid range in prices. One of the sellers here was Angela Davidson of Philadelphia. 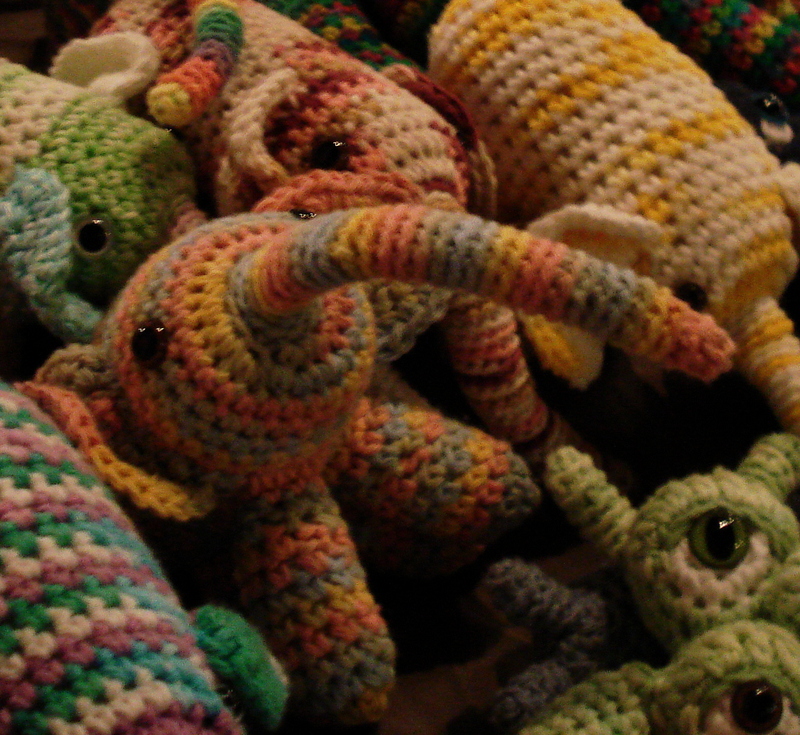 She was surrounded by a zoo of her colorful crocheted creatures. I personally noted squid, fish, cats, ponies, elephants, goats, and unicorns. 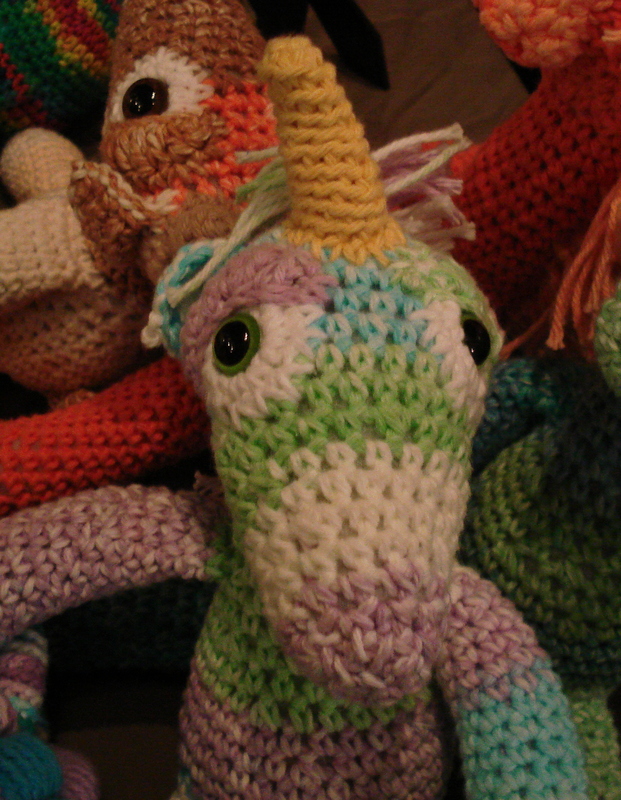 Angela uses her knack for color and whimsy and combines this with her skill of crochet to make these great items for gifts for the young and young at heart. Applications for the holiday show are due in mid October. Last year’s show was one week before Christmas and it drew a lot of shoppers. I’m sure the mild weather helped. Most booths appeared to be busy with shoppers. My unofficial survey of sellers was positive, although not overwhelmingly so. Cardinal O’Hara High School is located in Springfield, PA, on Sproul Road. 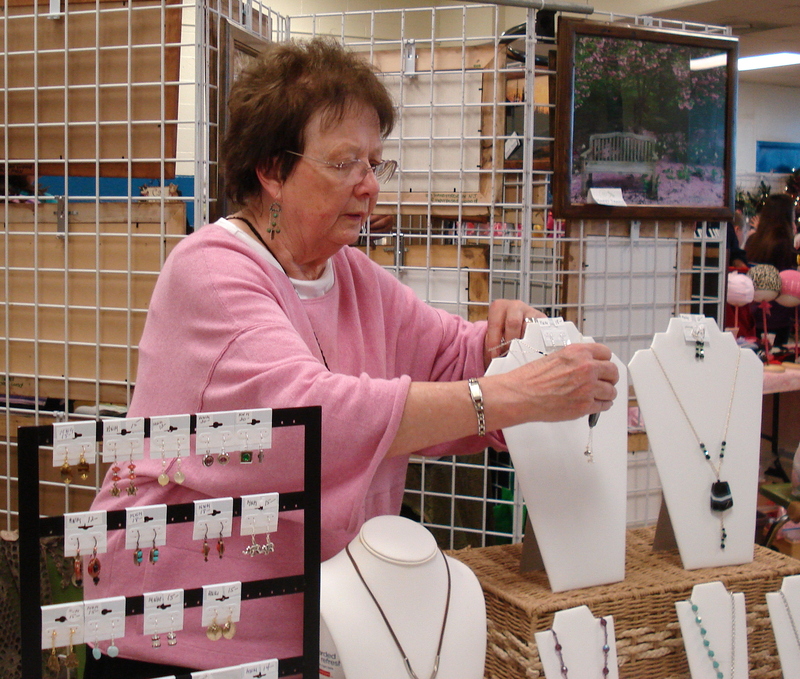 They have a craft show each Spring and Fall. I recently attended their November show. There was plenty of open and free parking when I arrived. 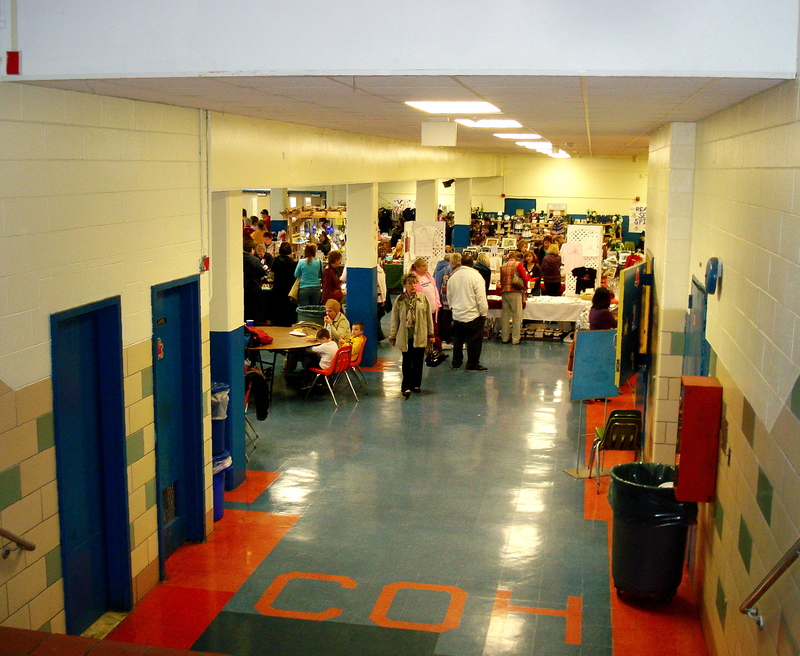 The craft show itself is in the school cafeteria. One must descend quite a few stairs to enter the show, which is something to keep in mind if you plan to transport and set up your craft display booth. The show runs for the weekend on both Saturday and Sunday. 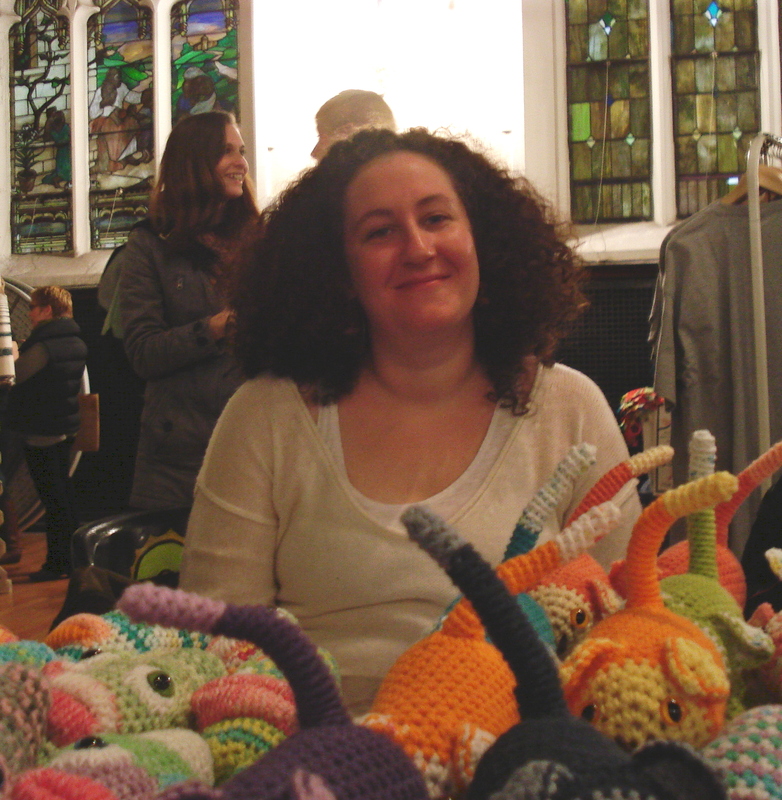 One of the crafters there was Handmade Philly’s own Pidge Molyneaux of MWM Designs in Drexel Hill. She displayed some lovely artisan jewelry. Her work is stylish and current, using crystals and semi-precious stones. 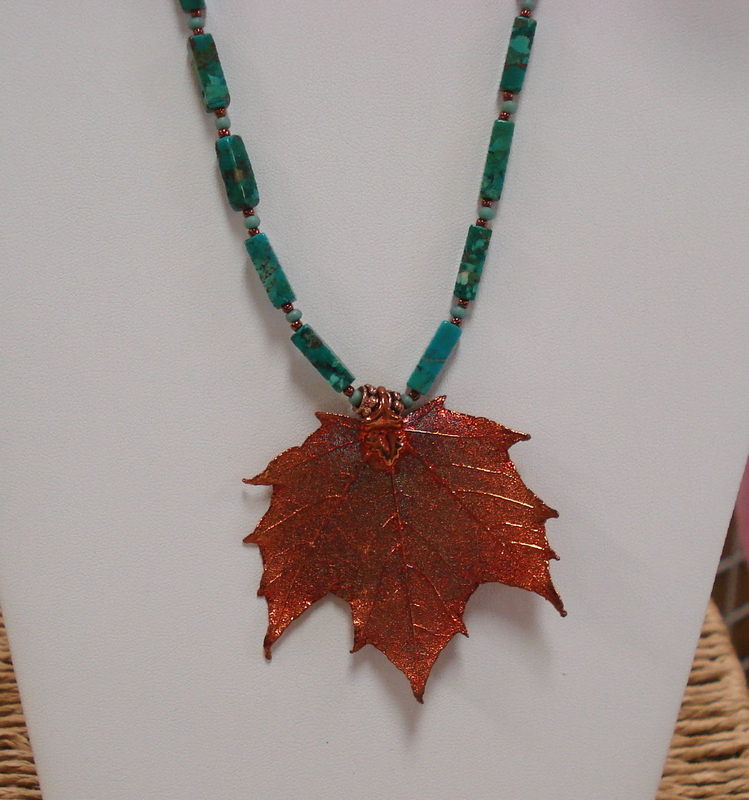 One of the pieces that caught my eye was a very elegant yet lifelike autumn leaf pendant. The fiery red was beautifully offset by cylindrical turquoise beads. Pidge explained to me that it was a real leaf painted and sealed with precious metals. What a great way to wear the beauty of nature! 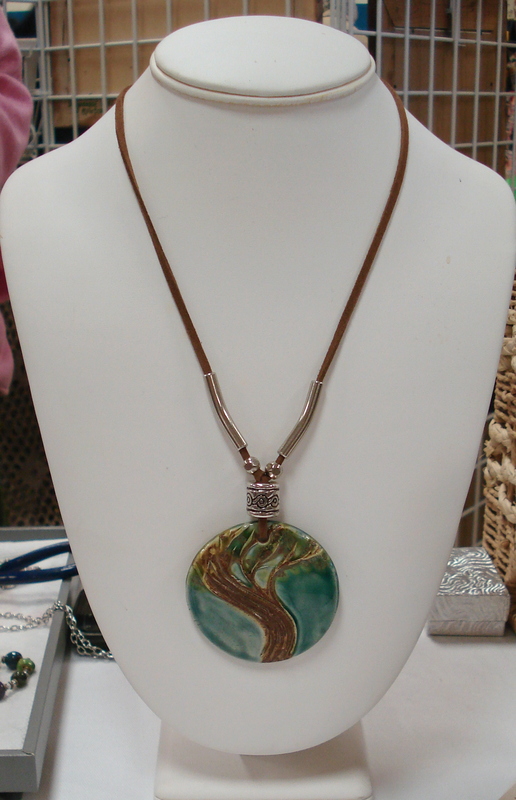 Another lovely piece was a ceramic pendant depicting a tree, which was strung with silver and leather. I imagined wearing it with a cowl sweater on a chilly winter’s night. Clicking on the photo will bring you better detail. The show itself appeared well-attended, and many shoppers carried bags of goodies they had purchased. The majority of the items for sale were at the lower price points, and very few items went over the $50 mark. Most items were handmade crafts, there were some vintage items, and a few things that looked to be imports. I saw home decor, paper crafts, needlecraft, photography, wood work, ornaments, soaps, baked goods, chocolates, and novelty decorations. Many of the home items would be fitting for an American country casual style. One of the exhibitors told me that her success was mainly “hit or miss”. I did see more activity in the booths that either had food or the lower priced practical housewares. All in all, it was a nice way to spend a nice fall afternoon, and because of the high traffic, it is a show that might interest a prospective exhibitor. I’m interrupting my regularly scheduled gift guide to bring you important news – a fellow Handmade Philly member has her work currently on display at a nearby gallery and you need to check it out! Last weekend I had the wonderful opportunity to see the new work of Abby Sernoff. Abby’s been a Handmade Philly member for years now and though she may not always be heavily involved in discussions, she’s been working hard creating lovely works of art. 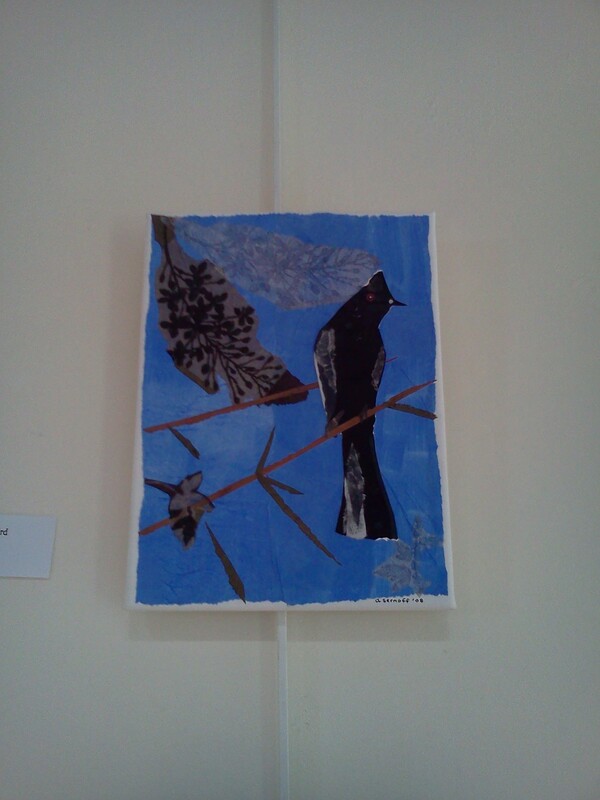 From now until May 29th, you can see Abby’s extraordinary collages at the Pebble Peace Gallery located at 320 Edison-Furlong Road in Doylestown. 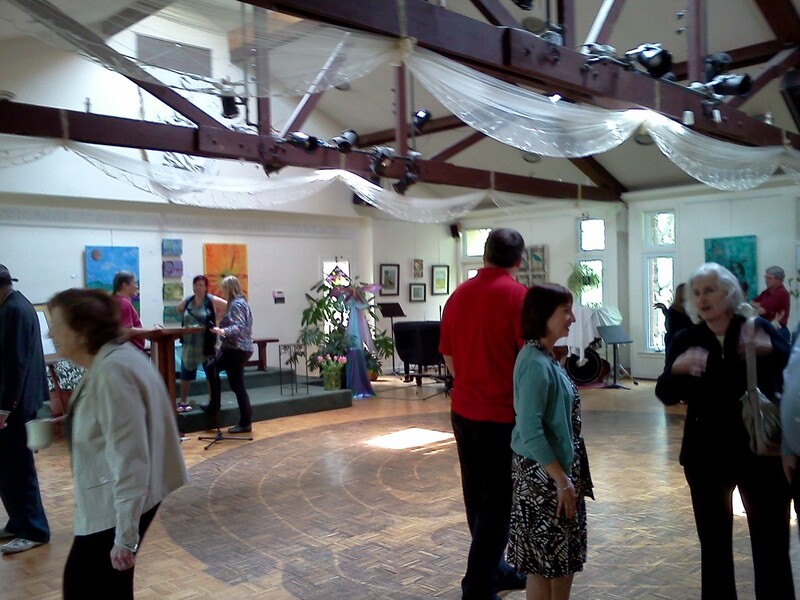 Following is the press release of the show in addition so some photographs I snapped at the opening on Saturday. 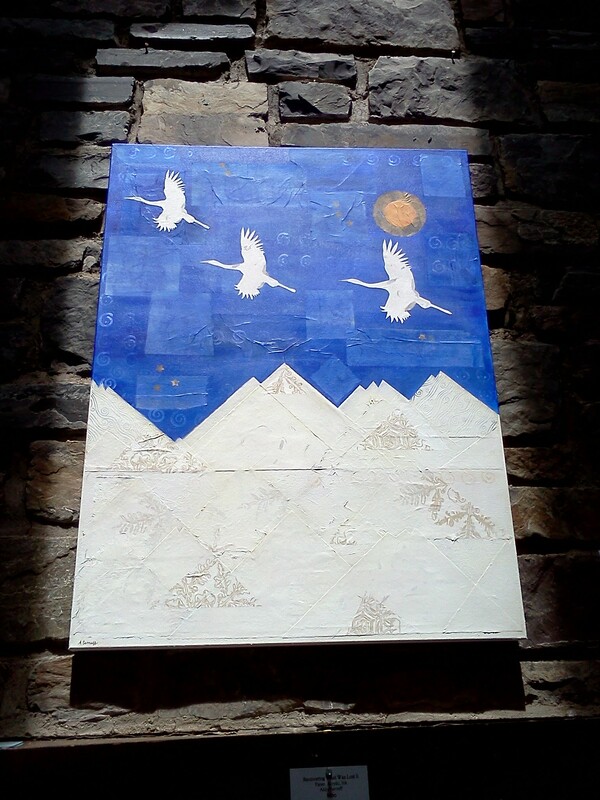 My photos do not do these collages justice – you need to see them in person! Also, Abby mentioned that soon she’ll have prints of these original collages available in her shop. Hope you all find time to take a gorgeous drive up to Doylestown to check out the work of a fellow Handmade Philly member. And a big congrats to Abby!! Abby Sernoff is a self-taught Mixed Media Collage artist who was raised in Lawrenceville, NJ. She received her B.A. from Macalester College and an MA in Speech Language Pathology from Temple University. Seven years ago, her life completely changed when she became seriously ill with Lyme Disease. Unable to continue working as a Speech Pathologist, Abby chanced upon collage making in 2006 while taking a local class about creativity. Within months, Abby found herself selling her artwork in local stores, accepting commissions, and participating in a juried art exhibit. She has shown her work as part of First Friday in Narberth, PA, and currently maintains a website and sells her art online. 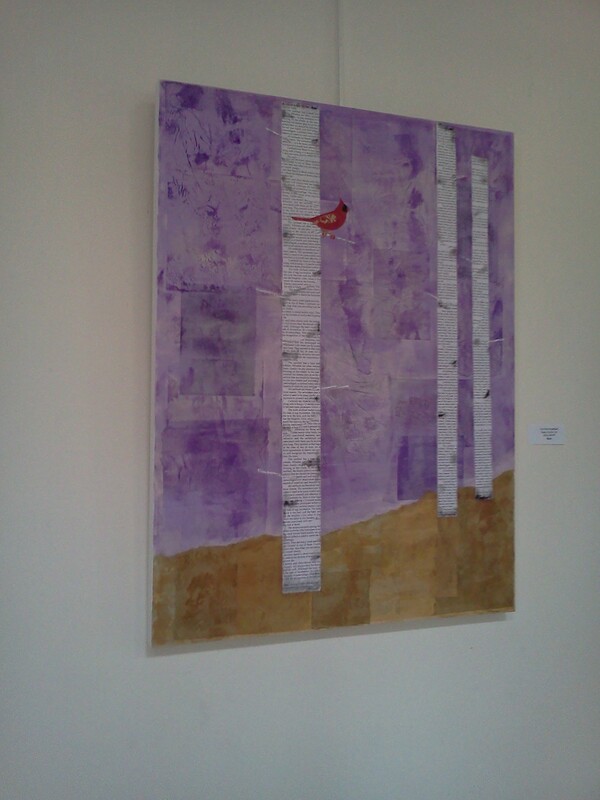 Abby’s work is inspired by the natural world around us, especially birds. Her artwork is heavily influenced by the mythology and symbolism that birds and other creatures have conveyed over centuries. She strongly believes nature is always communicating with us, and tries to reflect in her artwork the beauty that surrounds us. Since Abby’s journey as an artist has paralleled her journey healing from illness, she also wishes to convey a message of hope and optimism through her art. 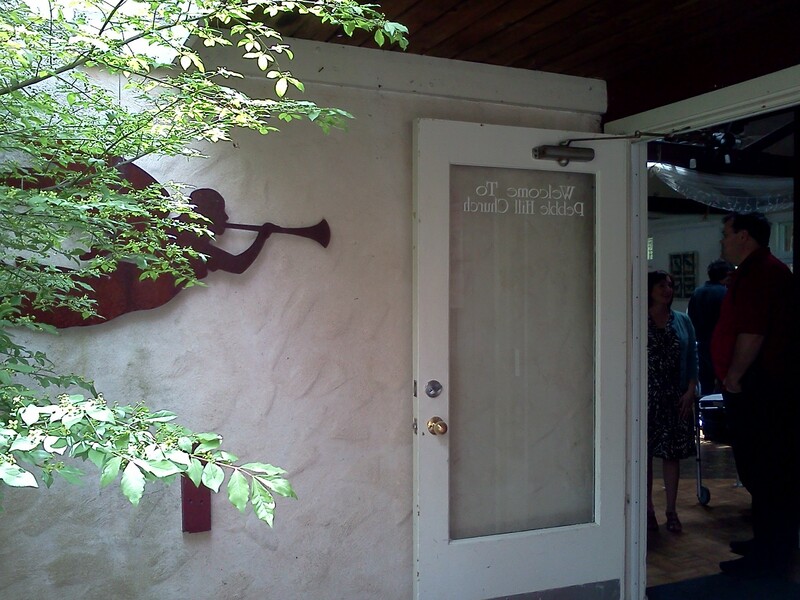 For Gallery information, to purchase artwork or schedule an exhibit, contact Gretchen Altabef, Gallery Director. Today we visit with Matthew Baron creator of The Woofer. The product that I manufacture is called The Woofer. 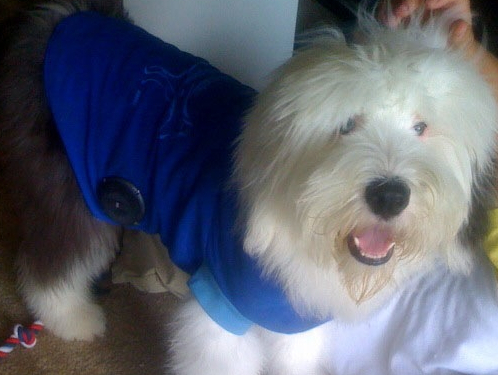 It is a dog coat that plays music from an iPod or smartphone. I turn dogs into boom boxes. You can play any type of music on the coat including audio books to podcasts. There are about 20 different materials that go into each Woofer. The waterproof speakers are held on with rivets and rings that I make out of aluminum. The wires are made by hand of copper and coated in plastic. The audio jacks are made of gold plating for performance. The amplifiers are made of a number components that I get online and powered by two rechargeable double A batteries. Then there is the coats themselves. They are mostly made of satin and microfiber for comfort easy cleaning. There is an inner batting and another batting fabric that is used to pad the back of each speaker. Describe your studio or workspace and tell us a little about your process? My studio is located in my home. I have two desks; one for tinkering and one for administration. I have an entire wall dedicated to the evolution of The Woofer. Previous versions and ones that just failed. I have made thousands of mistakes to be able to quickly manufacture a working coat. Most days, I am more creative when I am out of the house. You can catch me at Last Drop, Chapterhouse or B2 coffeeshops. What (or who) most inspires you? All the people who told me that this is a great idea. Somebody had to do it and it might as well be me. Nobody will do it for you. Tell us something about you that very few people know? Any hidden talents? My fear is that my product will hurt a dog some day. I spend hours working on safety. I add padding and coating and pay for the opinions of professionals. Still, if you watch movies like Jurassic Park or Anaconda or Man’s Best Friend or Jaws then you see what happens when man screws with nature. How about that women who had her face ripped off by her chimp? Will nature strike me back? Will dogs get mad if they think that I am making them look ridiculous. Do your research and be prepared. You will need budgeting and statistics to start a company. Also, always plan on the worst case scenario. What have you enjoyed most about being a part of Handmade Philly? Being part of a group that cares about quality. Making something by hand means that you can make a quality product. What programs/events/workshops would you like to see from Handmade Philly? It would be great to see some classes from members on learning sewing or knitting or welding. This is it. Making Woofers is living the dream. Look for a Valentine’s Day Woofer Video on YouTube and Facebook. 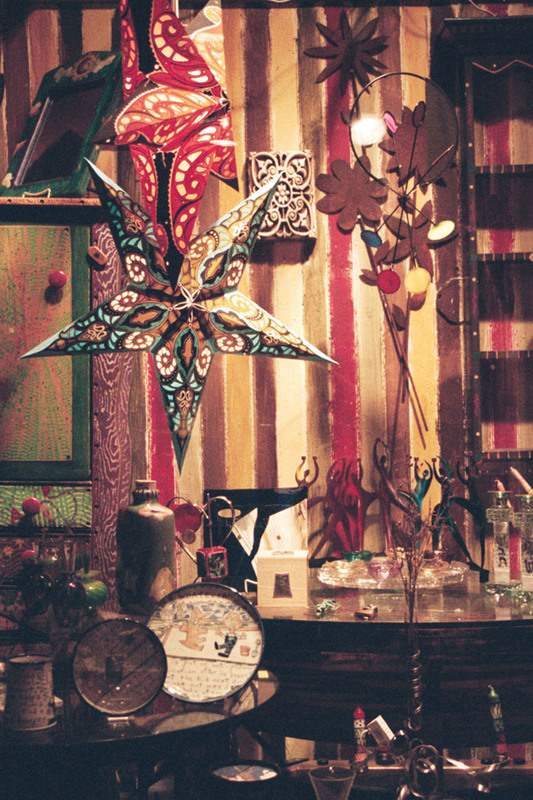 A peek into the world of Handmade Philly Member Traci Nelson of Tremundo. Traci, where are you from originally? Where are you located now? I’m originally from Moselem Springs, a beautiful part of Berks County, where I spent a lot of my childhood exploring the outdoors. I gradually kept moving closer and closer to Philly until now I live right at the border of Philadelphia. I enjoy where I live having the convenience of the city and the burbs! Tell us a few things about you? Creativity has spawned from attempting to keep a simple life that tends to have chaos attempting to interrupt! As a 2/3 empty nester, my life has been busier than ever as I fulfill my goals while still holding down the fort. I’m really fortunate that I am able to do what I love and still enjoy the time with my kids and live life!! 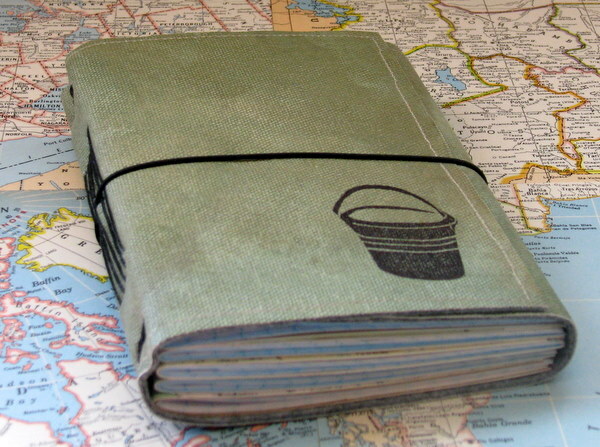 My most recent hobby that I started a year and half ago is working on my bucket list, I’m having a lot of fun crossing experiences off the long list and didn’t want to rush; this also birthed the bucket list journal. What do you create? 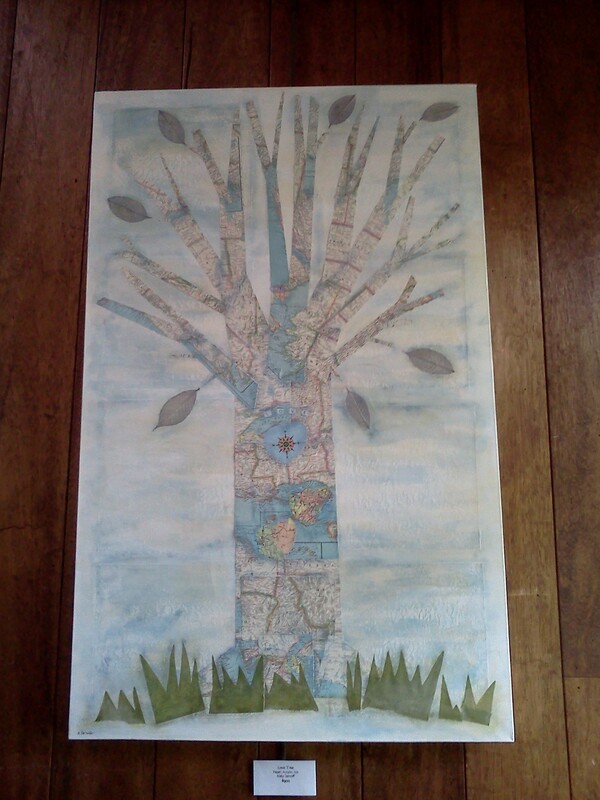 My imagination tends to take me all over the creative map from sewing, painting, refurbishing and more. 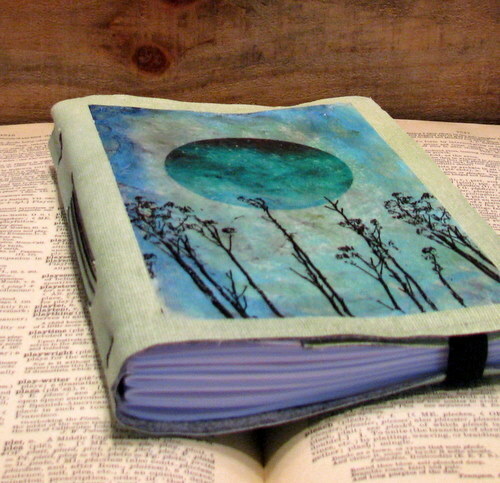 My main focus is hand bound journals with original artwork on the canvas covers. What materials do you most enjoy working with? I enjoy working with anything that I can dig my hands in and make a mess! 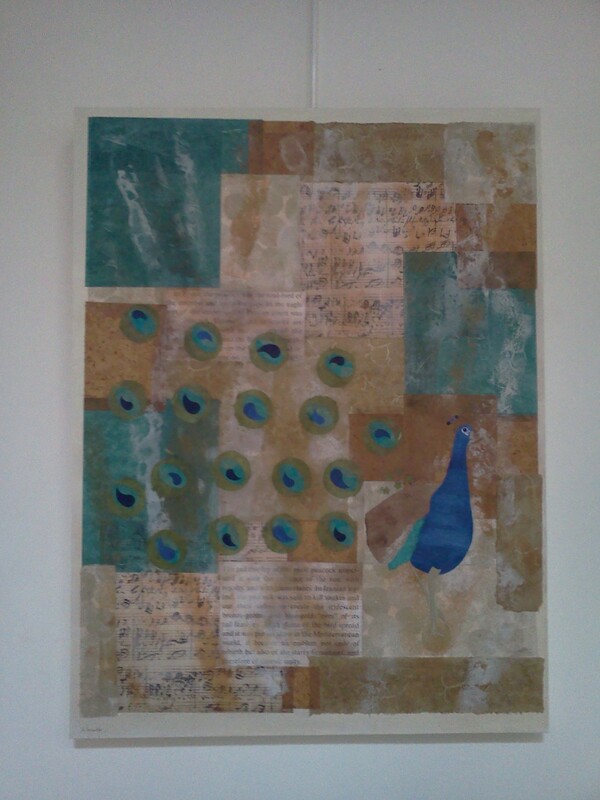 The feel of different paints, mediums, papers, fabrics often inspire me to create. I can’t say I enjoy one material more than another as it tends to change with what I am working on or what I am inspired to create next. Describe your studio or workspace and tell us a little about your process? I tend to work where I’m comfortable yet still feel in the mix of home. My studio is surrounded not just by supplies, also the things I enjoy that bring a sense of calm all the while there’s usually music blaring in the background! Yet it manages to spill into other parts of the house while I might be binding journals or sewing while watching a movie with my daughter. While I do work in bunches such as cut paper all one day, sew covers another day, etc. I usually have a couple projects going on at the same time. When are you most creative? One of my favorite days starts at 9pm and I paint, sew, write or bind until the sun comes up. I have always been a night owl and find the silence of the night to be the time when I can really allow the creative flow. What (or who) most inspires you? My greatest inspiration comes from the world around me, especially the outdoors, always a tomboy at heart. Inspired by the world around her and the outdoors. I love the fall and all the brilliant changes in the trees evokes a sense of color explosion that recently motivated me to create new mixed media pieces. I also find that when I’m in the creative rut, the best place, for me, is the beach as it brings all my senses to live while clearing my head for new creations. What do you love most about being part of something that is handmade? The originality of handmade and seeing all the “products” of creative minds is amazing. Each piece that is made is a part of the artisan. When I make a journal, I know my mind was in some place or another, a part of my perspective is in the artwork and find it rewarding to know that someone will be building upon and adding a piece of them into the journal. Tell us something about you that very few people know? Any hidden talents? One of my hidden joys is traditional hand quilting. 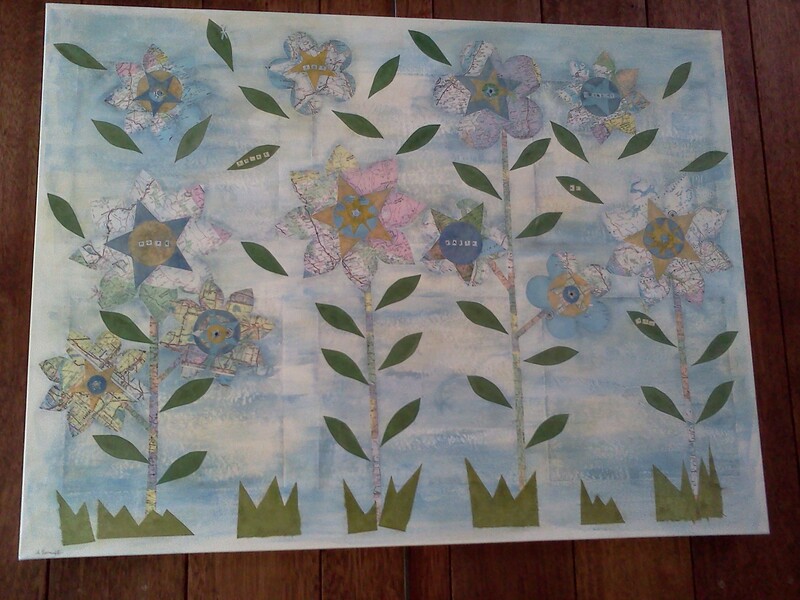 I like the challenge of creating a quilt, the right fabrics, colors, patterns and find the handwork to be relaxing. I appliqué, embroider and quilt all by hand with a quilt hoop. My grandmother was an amazing quilter and I have memories of her and friends quilting together. I’ve had quilts featured in several magazines and one is in a museum. What’s the best piece of advice you’ve been given? Do what you love and the rest will work out. What’s next? The past couple months, I’ve worked with various organizations and schools in creating journals specifically for the organizations. I hope to expand the network with the various organizations, schools and groups in hopes it will inspire others to create. 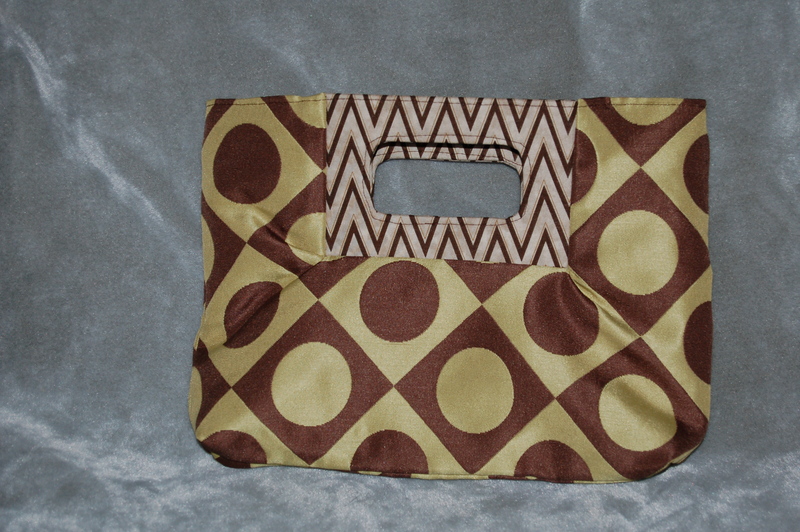 I have several new designs in the works that I hope to have completed prior to the holidays. What have you enjoyed most about being a part of Handmade Philly? Handmade Philly is a great network and with all the different artisans, it’s great to hear different perspectives. The supportive and informative talks are so helpful to so many people. Any parting words or advice? Use your gifts and follow your passion to create what works for you. I often hear artisans struggling with business aspects or trying to make things work. Having a business plan is a great way to set goals and stay focused as long as you refer to the business plan and adjust to any changes. With the business plan, keeping accurate records of all income, expenses and inventory so you can evaluate the true profit margin and analyze what you can do to increase your profits. Another piece of advice…find what works for you. Each person and goals are different and while there is a lot of advice online, to take the information and apply the points that work for you is more beneficial that trying to do something that might not work with your goals. Online: Tremundo has a main website tremundo.com and two etsy shops: tremundo.etsy.com is basically anything goes and bluetoad.etsy.com is Tremundo hand bound journals. On the spot: Her work can be found in local brick and mortars as well as across the country and in England. See tremundo.com for a list of venues and stores where items are sold.